“Content, content everywhere” is the phrase ringing in my head as I write this blog post. The rate at which content is being created today is truly astounding, yet what’s getting lost in this constant gush is the sense of ethics. 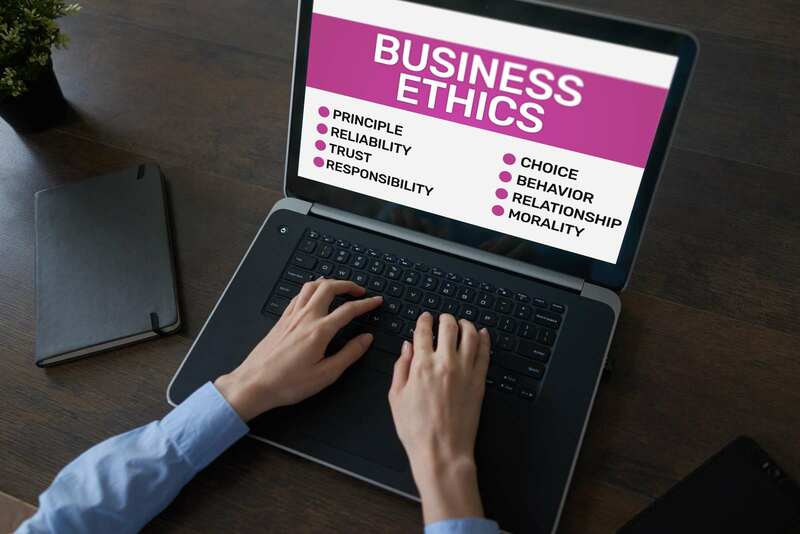 Ethics and content marketing should go hand in hand, but where are all the codes of ethics for one of the most popular marketing strategies? Before we dive deeper into the problem, let’s begin with a basic understanding of ethics. Ethics deals with what is morally right and wrong. However, don’t confuse ethics with values because values help define the basis for what we do. Think of ethics as the doing and the values as the believing. Most publishing companies, advertising firms, and public relations agencies follow ethical guidelines from the Society of Professional Journalists, the American Advertising Federation, and the Public Relations Society of America, respectively. 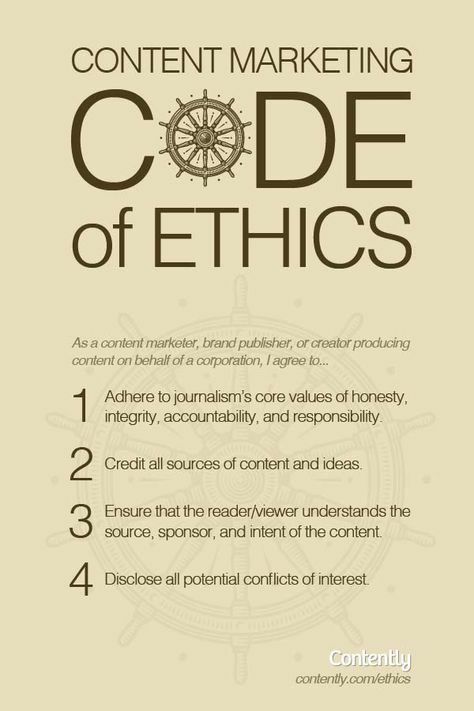 So why aren’t content marketers implementing and publishing a code of ethics for their companies? Well, some companies do already have a company-wide code of ethics while others follow codes from the SPJ, AAF, PRSA, etc. However, there are still more that don’t do either. For those that don’t follow and implement a code of conduct, those companies are waiting for a disaster to happen. Without implementing and publicly letting audiences know what to expect from content creators allows a little bit too much freedom in creating and posting what might not be ethical. How is ethics more gray than black and white? As mentioned in a previous post, ethical guidelines, just like editing guidelines, need to be in play or each creator of content will base their actions on their own values. Not everyone’s values align due to various factors, which lead to inconsistent ways of gathering and producing content. However, note that a code of ethics might not be as cut and dry as a guidebook. Occasionally, ethical dilemmas present themselves, and content creators might encounter a situation where neither solution for the situation would be morally correct. Someone or something might get harmed, so a process of making an ethical decision needs to be made. No matter what conclusion is made, going through the Potter Box model is the best way to process the decision. An example of a potential ethical dilemma is that of ghost writing. Ghost writing is when someone writes content but the content is attributed to a different person. Most cases occur when a company writer, freelancer, or intern writes content for someone who holds a high position within a company. CEOs and other officials might not have the time to write content, so content is written for them. Sometimes the person reads over the pre-written content and makes additional changes, and sometimes it’s glanced over and approved as-is. The problem is that the content is not theirs. Thus, if others find out that the content is purposely misattributed, transparency and trust issues with that official and company could occur. An argument from the company official could be that they were pressured to get content out for the company in a limited time frame or others wanted them to comment on a specific topic immediately. Without the time to write it, why not have someone who is already getting paid to write do it? Besides, if the official (very little or heavily) edits the piece, they could believe that they worked toward the production of the content, therefore assuming the byline. Sponsored content within your company’s blog could fall under another ethical situation that focuses on transparency and quality. Sponsored content is content that is paid for by advertisers to look and feel like editorial content yet sell a product. Sponsored content is much like an advertorial and focuses on the newsworthiness and value to the viewer of content. Sponsored pieces can look and feel like a typical blog post or news piece, but the subtle hints and links back to the sponsored party as well as the one-sidedness of the story can give clues to readers that the content is sponsored. The issue with content marketing and sponsored content is that the sponsored party could be a partner, shareholder, or someone else who is related to the company. Therefore, there is a person of interest interfering with the professionalism of the company. Other times, the sponsored party is not related to the company. Either way, if the name and company are disclosed, viewers know where it’s coming from. However, a potential issue from the consumer could be intention of the piece and allowance of ads within informational content. In other instances, sponsored content that is not transparent could dampen the relationship and trust with your customers. Without disclosure, the content written is a direct reflection of your company. While the sponsored content might lead to the sponsor and your company receiving more influence, remember to reflect on how it could represent your company and affect viewers in even just one instance. Every action and choice that is made directly reflects the company and the brand, so a reputation is on the line even for a small blog post or a short video. Besides, the whole concept behind content marketing is trust. Content is created so that consumers believe, trust, and start a relationship with a company. If content is fabricated, consumers will start to question what else about the company is not true. It’s the responsibility of the company and its employees to be transparent and honest to its customers and potential customers, so why let content marketing efforts fall through the cracks? Sometimes it’s the pressure of creating so much in so little time. Take for instance what’s going on in the media and news industry. There are fewer workers trying to produce an overwhelming amount of content in little time. If this sounds familiar, the same troubles might be hurting your company, too. So what ends up happening? Errors and fabrications might be woven into the content. Other times, plagiarized content runs through content marketing efforts. No matter what the problem, if an ethical guideline is not enforced, content creators can justify these problems because there is nothing telling them that they shouldn’t do that. No code of ethics sometimes translates to no serious reprimanding. So take your content marketing efforts to the next level and be ahead of your competition. Show your audience that you are someone to be trusted and valued, so implement a code of ethics to keep content creators at bay. If you need some inspiration to get you started, look at some of the following companies taking the next step. Ensure that content marketing is not based on multiple individuals’ values and ethics but rather a combined effort to make sure original, true, and transparent content informs consumers about your company. 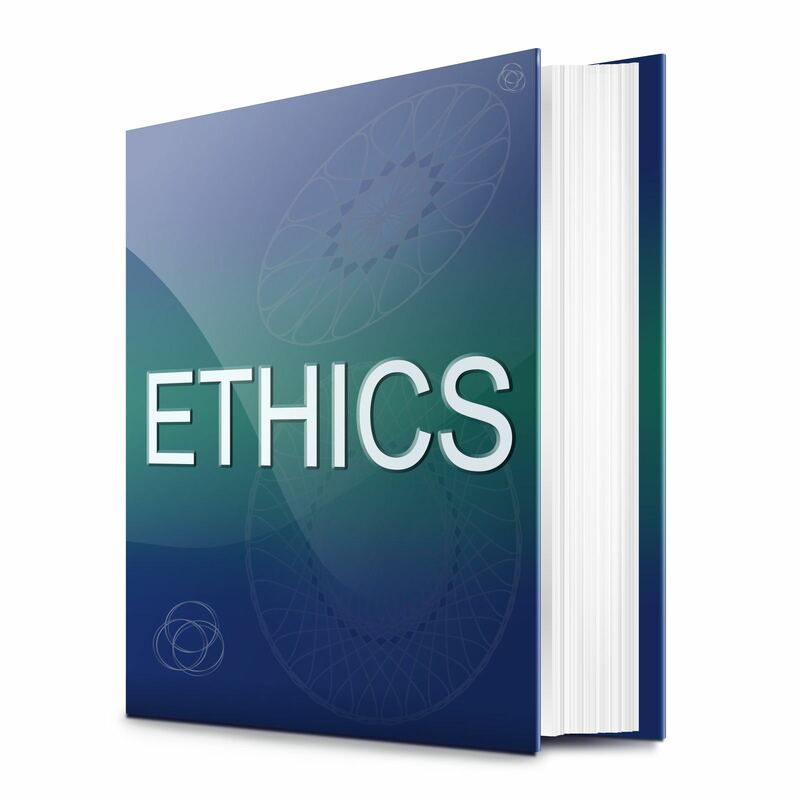 Where are examples of codes of ethics? Contently does a great job at addressing the ethical guidelines for each person’s role in creating content and working with Contently. The company provides what most common codes of conduct don’t do – lets each player have a known responsibility and guidelines in addition to a general basis of the code (Journalism code of ethics). If you dig a bit, you’ll find it on the manifesto page and in the strategist section under August 2012 articles. Concentric Content Marketing’s placement of its code of ethics is unique and beneficial because the code of conduct is located on the company’s home page. Going to their site, you can’t miss the code, as it lies above the fold. As you travel to the code’s page, the company directly addresses that its members “followed in the footsteps” of SPJ’s and Radio and Television Digital New Association’s code of conduct. Contently’s code is short and to the point with bulleted information for each of its five sections. 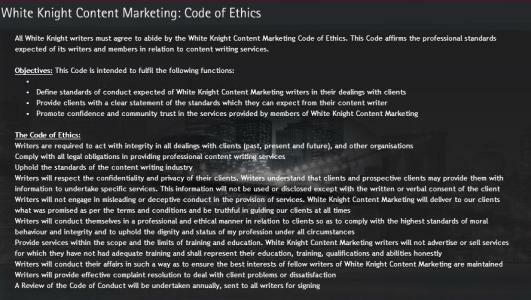 As the shortest code of ethics out of the three, White Knight Content Marketing first defines the objectives of the code before going into the details of the guidelines. One great thing about this code that makes it stand out among the three is that it briefly addresses legal issues and how to respond to them. Probably an even better point it addresses is that the code of conduct gets reviewed and updated annually, a great factor that most codes should follow with constantly changing technology. How do you create a code of ethics? 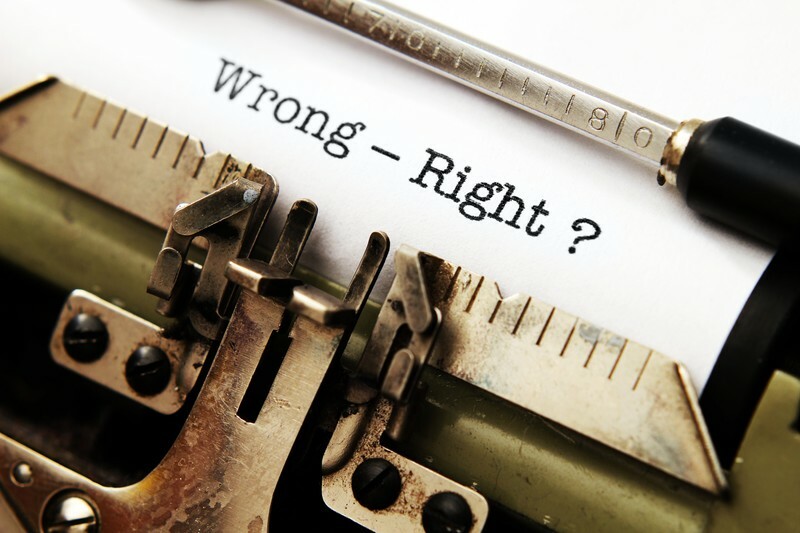 Are you convinced that your content team needs a code of ethics? Here’s an approach to get you started. 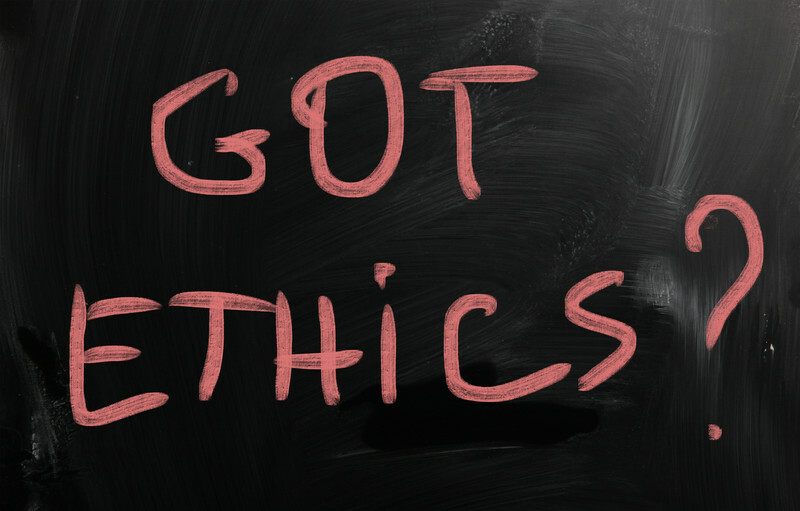 Have you created a content marketing code of ethics for your company? Let us know the challenges and results from your adventure!